Even if you live under a rock without Internet access, you probably are aware of the fact that the 2016 presidential race finally, officially begins tomorrow. Across the Hawkeye State, Iowans will come together to caucus for their favorite candidate, and try to convince their neighbors to do the same. Yet, there is one candidate who has managed to collect a commanding lead in so-called superdelegates, otherwise known as unpledged delegates. 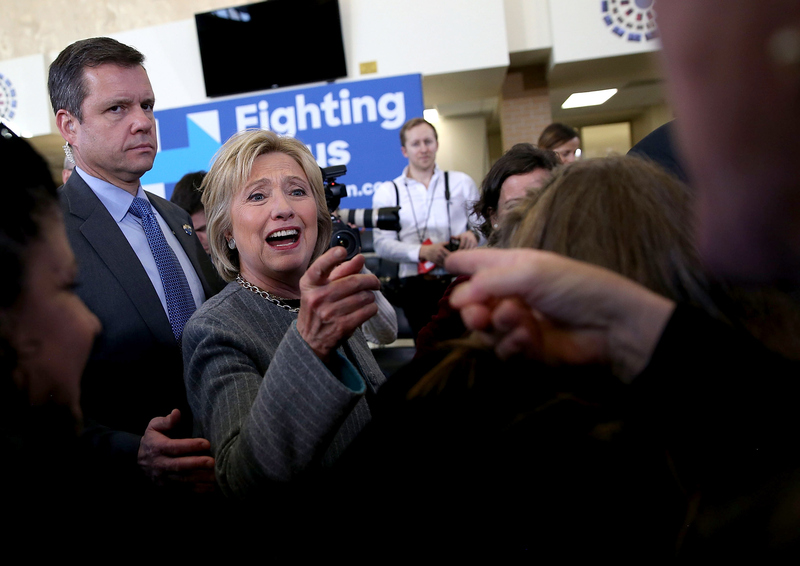 Hillary Clinton, who's already winning the Democratic primary before Iowa even begins to vote. If you're asking yourself how or why delegates are even able to make up their minds before voting has started, the answer may surprise you. The old maxim of "One Person, One Vote" doesn't have to apply during the nominating process for president. Here's why: in the vast majority of states, primary voters aren't voting directly for a candidate. The outcome of the vote is used by the individual state parties to allocate delegates to candidates for the national convention, who then get together and vote on who the party will officially run as a candidate for president. This means that delegates and superdelegates technically get to vote twice — once in their primary or caucus and then again during the national convention. Last November, when the AP contacted all 720 Democratic superdelegates and asked them who they were planning on supporting for president, Clinton had a commanding lead over rivals Bernie Sanders and Martin O'Malley. 359 indicated their support for Clinton, whereas Sanders collected eight superdelegate endorsements and O'Malley a mere two. Another 210 reported that they were undecided. When superdelegates make up about 30 percent of the total 2,382 delegates present at the convention, their support is critical to securing the nomination should the race come down to the wire. Clinton's lead among national Democratic figures is even more stark. When The New York Times conducted its own survey of Democratic governors and congressional leaders, they found that nearly 77 percent supported Clinton's candidacy while a paltry 1.2 percent supported Sanders. O'Malley did have a friend in Congress, whose vote meant he had 0.4 percent of the establishment's backing. Superdelegates are also known as "unpledged delegates" since they are free to pledge support to whomever they chose at the national convention, regardless of how their state ends up voting. This year, Democratic delegates will gather in Philadelphia from July 25-28 to make the final determination on who will receive the Democratic nomination for president. However, just as superdelegates are free to decide whom to support before a single public vote has been cast, they are also able to change their minds up until the final vote of the national convention. Should Sanders (or, in an alternate universe, O'Malley) start to win more state contests than Clinton, her superdelegates will come under increasing pressure from the public to back the candidate who has the support of the people. A similar situation occurred in February 2008, when Clinton superdelegates began to defect to the Obama side after he won 11 straight primaries in a row.